(Natural News) Say goodbye to sleepless nights. A study by researchers from Iran has discovered a potential natural remedy for insomnia. In their study, which was published in the journal Phytotherapy Research, they found that oral intake of lemon verbena (Aloysia citriodora) improves sleep in patients with insomnia. Lemon verbena is a plant native to South America. However, it has now become accessible all over the world. Its rise to fame began when people took interest in its flavor and they started adding it to their poultry and fish dishes, salads, dressings, jams, and beverages. Prior to that, lemon verbena was traditionally used as a natural sedative and remedy for fevers, digestive problems, and insomnia. People are now bringing back the medicinal use of this plant since there is now scientific evidence for some of its health benefits. It has been proven to be effective against inflammation, metabolic problems, congestion, and anxiety. Insomnia is a sleep disorder that can significantly reduce a person’s quality of life. This condition affects up to 40 percent of Americans every year, making it the most common sleep disorder in the U.S. There are many possible reasons behind insomnia. These include psychological issues, hormonal imbalances, and medical conditions like chronic obstructive pulmonary disease, tumors, Alzheimer’s, and chronic pain. Even environmental factors like noise, extreme temperatures, and high altitudes can contribute to the development of this condition. Most patients who suffer from insomnia take sleeping pills to get a good night’s rest. Unfortunately, there are many side effects associated with these drugs, including erratic behavior, daytime drowsiness, memory loss, and increased risk of death and cancer. In this study, the researchers wanted to determine if lemon verbena could be used to improve sleep in patients with insomnia. To do this, they conducted a randomized clinical trial involving one hundred participants. The team randomly divided the insomnia patients into those who would be receiving lemon verbena (1.66 mg total essential oil per 10 ml and 3.22 mg of quercetin per 10 ml syrup) and those who would be receiving a placebo syrup. The participants were advised to take 10 cc of their assigned treatment an hour before bedtime for four weeks. The evaluation of patients was done using Insomnia Severity Index (ISI) questionnaires and the Pittsburgh Sleep Quality Index (PSQI). There are four components under the PSQI. These are sleep latency, habitual sleep efficiency, daytime dysfunction, and subjective sleep quality. The assessment was conducted at baseline, after two weeks, and after four weeks. Patients treated with lemon verbena exhibited significant improvements in PSQI and ISI scores compared to those in the placebo group during the second and third assessment. From these results, the researchers concluded that lemon verbena has potential use as a natural remedy for insomnia. Get some sunlight in the morning — Let sunlight into your room as soon as you get out of bed. 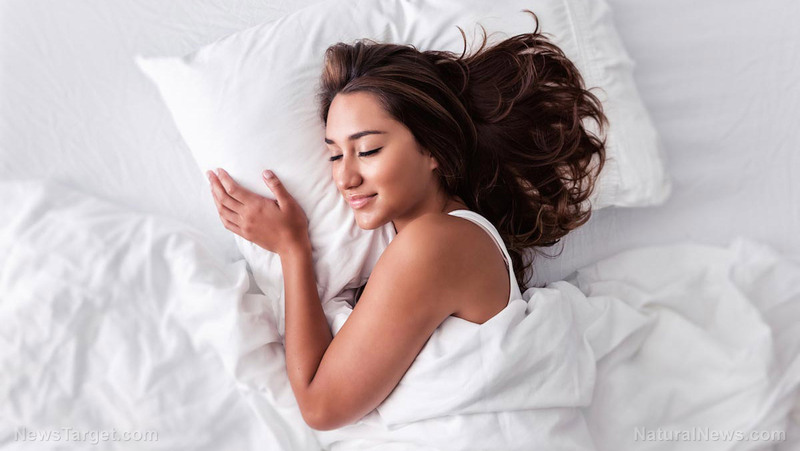 Doing this will wake your body up and help you sleep better at night. Start exercising — Studies have shown that people who exercise regularly get better sleep compared to those who have sedentary lifestyles. For those who have insomnia, experts suggest doing a 30-minute workout three to four times per week to extend sleep by up to an hour. If you’d like to read more news articles on how you can improve sleep disorders naturally, visit MindBodyScience.news.